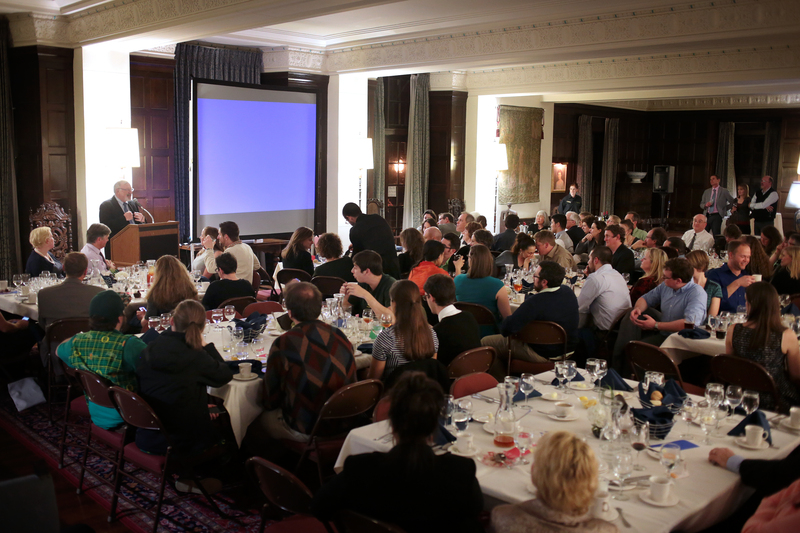 The Frank Tournament of Scholars and Forensics Alumni Dinner was a great success! We made new friends and rekindled old friendships. We reminisced about our days at Oregon and learned about the great accomplishments of those who followed. Together we thanked Dr. David Frank for his enormous contributions to Oregon Forensics and to our lives. 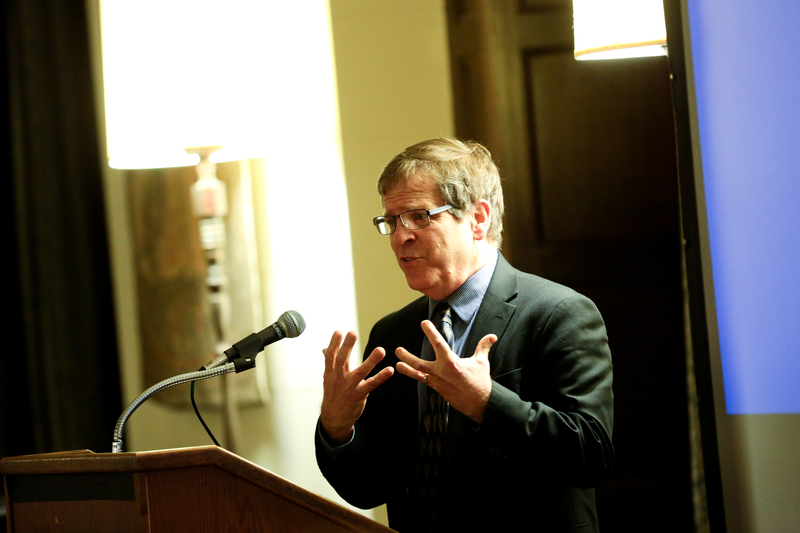 Please view photos of the evening by Oregon Forensics alum Aaron Marineau. That night I said you would hear from me with information about our competitive performance. I said I would contact with information about opportunities to donate to Oregon Forensics and some of our priority initiatives. I am thrilled to announce that UO Advancement made it incredibly easy to donate directly to Oregon Forensics. Donated funds are managed by the UO Foundation but exclusively available to Oregon Forensics. Allow me to describe some of the highlights of the 2014-2015 Oregon Forensics season and some of our goals for the future. Oregon Forensics enjoyed a very successful 2014-15 season. Again we turned in a very strong performance at parliamentary debate nationals. At the alumni dinner you met the team of Liz Fetherston and Kehl Van Winkle, the top seed in 2014 with Fetherston the top overall speaker. In 2015 we finished 4th in school sweepstakes at one national parliamentary debate tournament and had the 3rd best team at the second and more prestigious qualification-only national tournament. All our debaters return for the 2015-16 season and will be joined by a large group of incoming recruits. We continue our commitment to revitalizing evidence-based debate at Oregon, an effort that began in earnest this year. 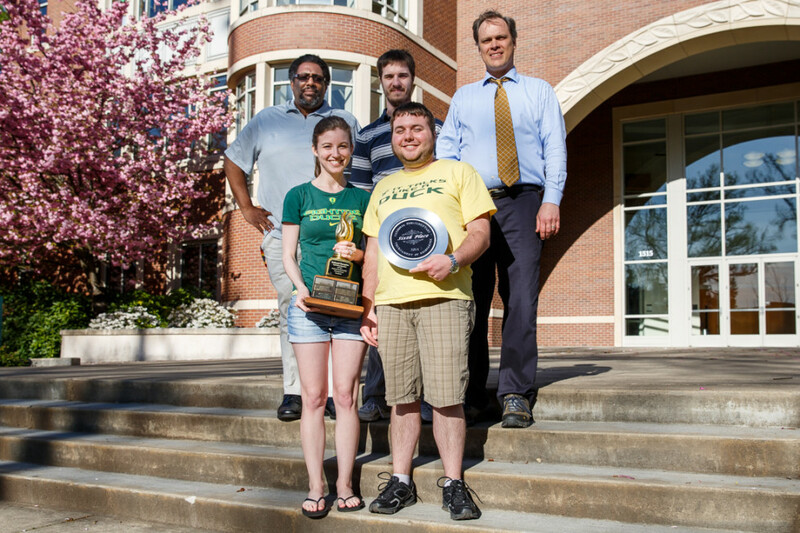 This past year also saw the successful return of a college debate tournament to our campus. The David Frank Tournament of Scholars attracted teams from California, Washington, Utah, Oklahoma, Florida, and Oregon. This is an important milestone with enormous advantages for our program, especially in terms of our stature on campus and in the region. With your support this tournament will continue to improve each year and all alumni are invited to meet again every February at the David Frank Tournament. Our individual events students qualified to AFA-NIET nationals for the first time in five years and several exciting incoming recruits will help our growing strength in speech. Mock trial flourishes and students are now preparing for a season that begins in November with the David Frohnmayer Invitational at the Knight Law Center. Our team can always use the advice and volunteer judging of alumni knowledgeable in the law. Throughout the 2014-2015 year we followed the resurgence of Oregon high school debate and recruited promising students. We anticipate 7-10 will attend their first tournaments for Oregon Forensics next year. This July 25-August 8, 2015 we offer the Oregon Global Debate Institute, a superior high school speech and debate summer institute held on our campus. We have doubled last year’s enrollment. Under Dr. Frank Oregon Forensics was enormously influential in the broader forensics community and we continue to play a leadership role in regional efforts to ensure forensics is inviting and open to students of all backgrounds. We are working with other flagship programs in the region to ensure a learning environment free from discrimination and harassment. We are taking the lead role in efforts to update Dr. Frank’s 1985 Statement of Ethics for the Northwest Forensics Conference. Deservedly proud of our continuing successes we nevertheless fully realize our future success is never guaranteed. We must always provide a quality experience for students that prepares them to succeed in forensics and for the rest of their lives. We must continue to innovate and experiment and prepare and practice if we are to improve and then try even harder if we are to excel. Alumni can play a critical through our vocal and sustained support. Let me describe three priority areas important to the future of Oregon Forensics that I identified in consultation with Dr. Frank, current students, alumni, UO Advancement, and leaders in the Clark Honors College. Every year we recruit new students to compete for Oregon and every year we aim to extend the reach of our recruitment efforts. Perhaps there is a student in your family we should recruit. Maybe you know of others students we should encourage to consider Oregon. Most recruiting arises from interactions with students at tournaments and with their high school teachers. We also recruit promising students at our summer debate institute. Such relatively inexpensive recruiting efforts are important and valuable, and we will continue them. But they do not address our greatest recruiting barrier: We are unable to offer scholarships. Peer programs use scholarships to recruit students, including the best students from Oregon. For instance, we could not match offers Georgetown gave to an exceptional debater from southern Oregon last year. Worse, every year we lose promising new students forced to work rather than compete or whose families can no longer help them attend. Even more, we are at a disadvantage recruiting the fantastic debaters coming through the Urban Debate Leagues. Often the first students in their families to attend college, these debaters, from low-income families and often persons of color from out of the state, will inevitably thrive but they won’t choose Oregon when ASU and Oklahoma offer significant scholarships. Our lack of scholarships disproportionately impedes our efforts to revitalize policy debate because high school policy debate in Oregon for many years was on life support. The best out-of-state debaters face increased costs to attend and lack easy access to most scholarships provided by the university. The greater rigor required of policy debate also disproportionately weeds out students who must work. Oregon Forensics should be in a position to offer a range of difference-making scholarships to students who want to compete for Oregon. Many of the component costs of competition – van rentals, hotels, plane tickets, fees, etc. – continue to increase every year. Our program growing and few tournaments offer all the events that interest our students such that several weekends each year we have different groups of students at different tournaments in different cities. We successfully lobbied the ASUO for a 40% increase in our base travel budget for 2015-2016 but our program has more than doubled in size and additional near-term increases in support are unlikely. Every year the committee asks us what we are doing to raise money for the program and every year we see other programs denied increases or receiving cuts because of a failure to supplement funds authorized by ASUO through active fundraising. Changes in university policy mean that we can no longer make special requests to fund national championship tournaments that require qualification. There are good reasons for the underlying changes but one unfortunate budgetary consequence is that we must find another $12,000-$15,000 each year for nationals or remove several tournaments from the schedule. The social capital and the actual capital that arises from networks of strong relationships on campus, our incorporation into the Clark Honors College, the relative protection afforded by a faculty line: These and other such factors constitute what I call the “infrastructure” of Oregon Forensics. As students competing we probably did not appreciate the infrastructure enabling our experiences. This combination of financial and non-financial support, while not directly used for competition, is absolutely crucial y if we are to realize the goal of making our the Oregon Forensics a permanent campus presence. Specific infrastructure initiatives include securing and outfitting a better squad room for the team. We have needs for additional computers, and instructional technologies such as software and digital audio and video equipment. The single step most likely to ensure the permanence of Oregon Forensics is the creation of an endowed chair for the Director of Forensics. 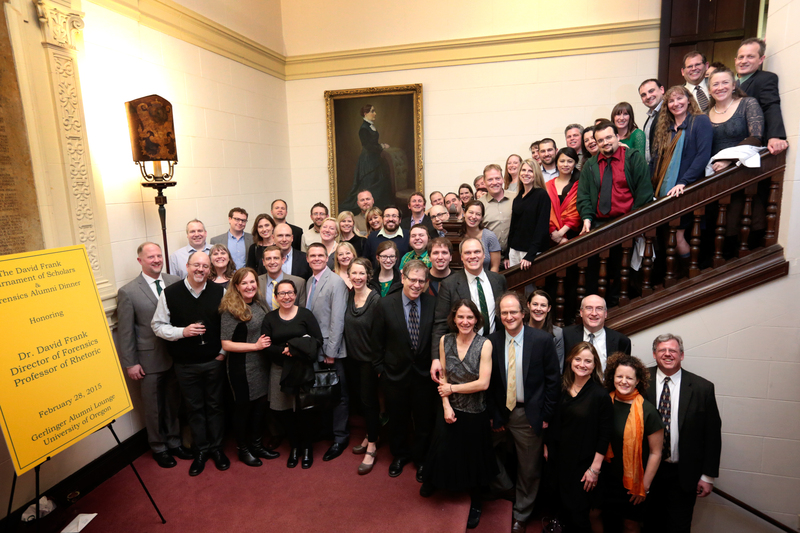 It was a great thrill to celebrate Oregon Forensics and honor Dr. Frank with so many friends and peers. Can’t wait to see you at the 2016 Oregon Forensics Alumni dinner.